(Natural News) Seasonal allergies are often the bane of anyone who happens to have a hypersensitive immune system. Allergens are typically innocent substances, but when your body detects their presence, your immune system treats them as harmful intruders and responds accordingly. This is what causes an allergic reaction. While it is ideal to avoid exposure to allergens in the first place, they can sometimes be unavoidable in certain situations, such as in the case of airborne allergens. Some people may take antihistamines and decongestants to relieve the symptoms of allergies, but many prescription medicines tend to cause unpleasant side effects. 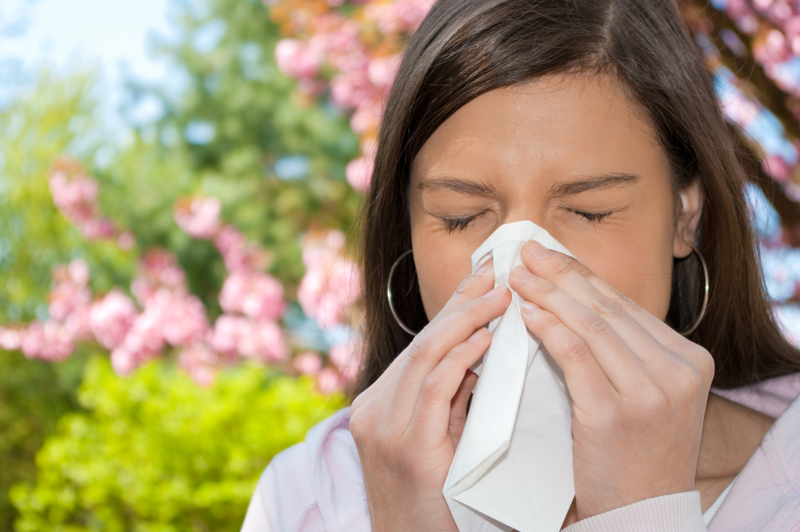 Instead, you can alleviate allergy symptoms naturally, with the help of useful home remedies. Your diet plays a large role in your overall health and well-being. Many people experience allergic reactions to certain foods, such as shellfish, peanuts, wheat, and soy. If you notice your body reacting negatively when you consume certain foods, try to make changes in your diet to avoid those food items, and see if there is any improvement. Vary your diet so that you can experiment with different food groups. This way, you can find out what kinds of food work best for your body and what kinds don’t. If you begin to feel the symptoms of a food allergy within an hour after eating, drink plenty of water to help flush it out of your system. Processed foods should be avoided as well, since these may only aggravate your symptoms. If your immune system is imbalanced, that might just be the reason why your immune system is reacting the way it is. Probiotics are the good bacteria that can help balance out the bad bacteria in your gastrointestinal tract. Fermented foods, such as kimchi and kombucha are excellent sources of probiotics. Honey contains trace amounts of the natural substances that you might be allergic to. It can be a great way to naturally introduce the pollen or other allergens into your body, so that it learns not to treat it as a foreign irritant. Additionally, lime juice is loaded with vitamin C. During allergy season, the first thing you will want to do when you wake up is to mix some lime juice, honey, and boiled water, and drink this mixture to flush out toxins from your body. It can also help soothe your scratchy throat. If you want to try this natural remedy, make sure your body can tolerate citrus acid well before using it on a regular basis.